You'll see! We have a first hint on casting for Rent Live!, Fox's upcoming live musical event. So You Think You Can Dance host Cat Deeley announced during the August 6 episode of the talent-competition series that this season's winner will take on a role to be announced in the highly anticipated TV musical. As previously reported, Rent Live! will air on January 27, 2019. 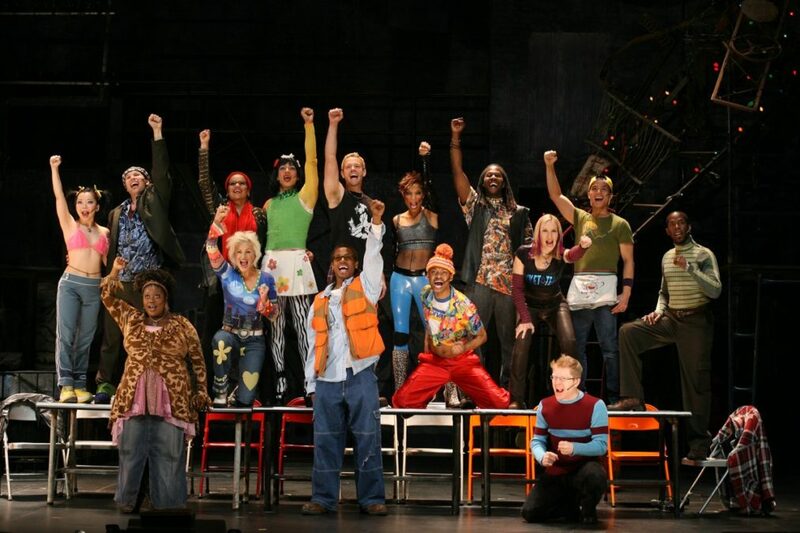 The original Broadway company of Rent featured stars-to-be including Idina Menzel, Adam Pascal, Anthony Rapp, Jesse L. Martin and Daphne Rubin-Vega. A 2005 film adaptation featured much of the original cast. Jonathan Larson's beloved musical about a group of friends surviving and thriving in New York City at the height of the AIDS crisis has garnered numerous awards, including the 1996 Tony Award for Best Musical and a Pulitzer Prize. Fox's past musical events include A Christmas Story Live, Grease: Live and The Rocky Horror Picture Show.